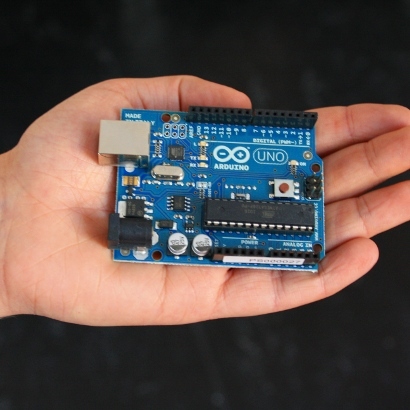 Hive13 is offering another Arduino 101 class. This is a great intro class designed to get the student comfortable with using an arduino and how to build out their ideas. This class has been taught at UC in the design school and is targeted to teach from the ground up. You do not need to have any electronical or programming background to attend this class. This is a hands on class where you will build out cool blinking light projects and play digital music over a speaker all using a tiny microcontroller. This class is always a lot of fun and will teach you the tools you need to build out any project on the arduino. You will become comfortable using the kit and troubleshooting problems. You will learn how to use the many wonderful arduino resources to expand your knowledge and learn how to use new components. This class will not use slide show presentation but is 100% hands on and you are encoraged to work in groups or with friends. In this class you will use an Arduino, breadboard, wall wart, wires, LEDs and speaker. You should bring a laptop and a USB cable to program the ardiuno. These are the USB A to B cables (http://www.sparkfun.com/products/512) We will have some on hand but you will have to share. We are offering two types of tickets. One with the kit and components included and another ticket price to bring your own arduino. We will supply LEDs and speakers regardless of which ticket you purchase. We are going to start taking time to share some of the projects that are finished or are at least to a working level. 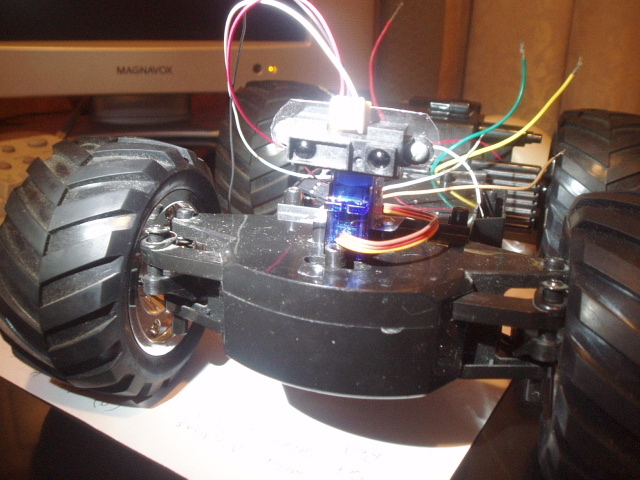 Both Paul and TP have made some intelligent self guided modded RC cars. TP has a model with a swivel head that looks around and uses a Neural Network to learn. For more information on TP’s design check the wiki. Paul’s design uses an Arduino and a pair of sensors to do obstacle avoidance and has been rather successful at navigating the space! Details on Paul’s RC can also be found on the wiki! Every week we get together to share project progress and deal with the business matters for the space. Every so often a special guest shows up to demo something really cool that they have been working on. That happened at the last meeting when Joe stopped by to show off his Sketchduino. He has taken an Etch-a-Sketch and paired it with an Arduino and a laptop to draw any image. He gave a demo using one of our logos. Check out the YouTube video of the demo! Thanks Joe! I can’t wait for the Party on the 29th!